When I was searching the internet for a lemon tart recipe ( it should be quick, easy and the best ever) I found so many enticing pictures, I read so many recipes that I ended up combining my own experience as a home baker with a bunch of helpful advice from the blogosphere. 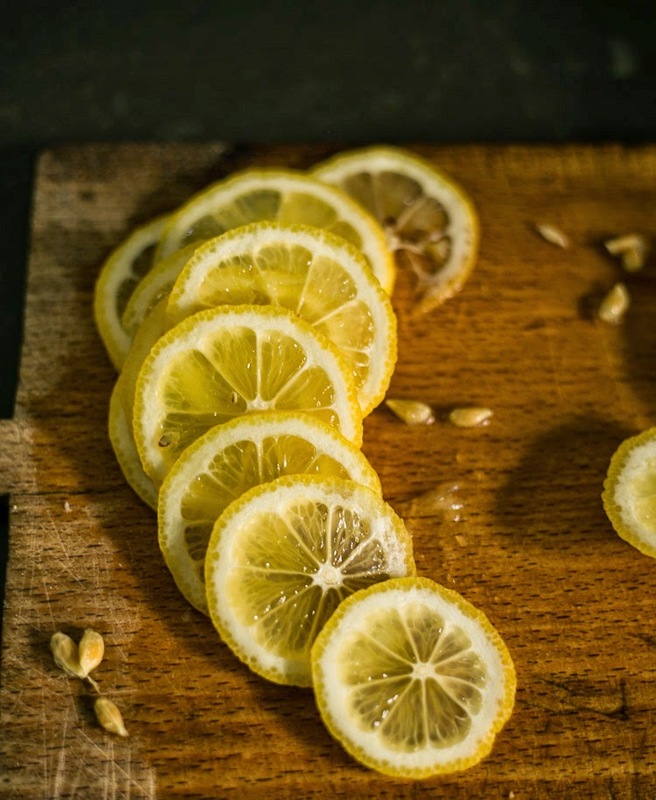 Thinly slice a lemon. Remove the seeds. In a small saucepan add 3 tbs sugar and half a cup of water and stir to combine. Place over low heat, dip the lemon slice and let simmer for about 15 minutes or until the pulp looks transparent. Let them rest and cool down in the liquid. Combine the ingredients and make a smooth dough with your hands. Press the dough into a baking form and refrigerate for 30 minutes. Bake the crust until light golden brow, about 15 minutes. Whisk sugar and eggs until creamy, add the zest, the juice and the cornflour. Pour the filling into the crust and continue baking until the filling is set. 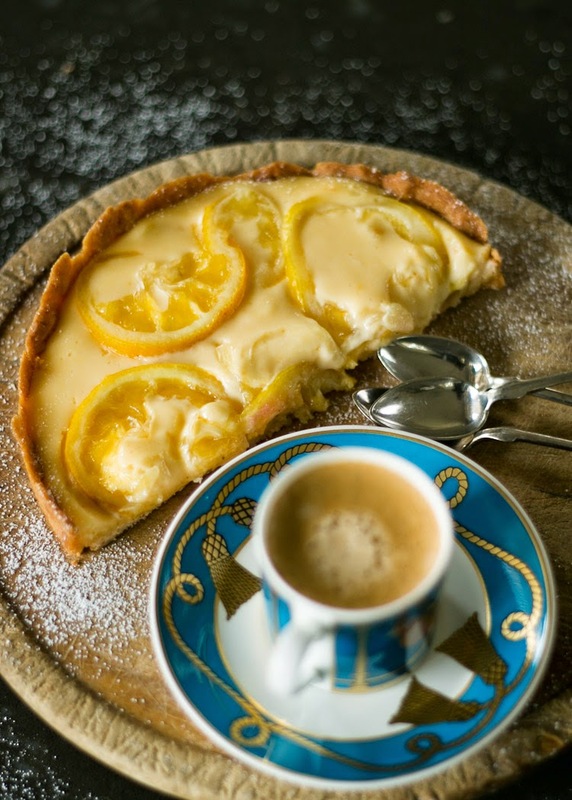 Arrange the previously cooked slices on the tart, dust with powder sugar and enjoy!